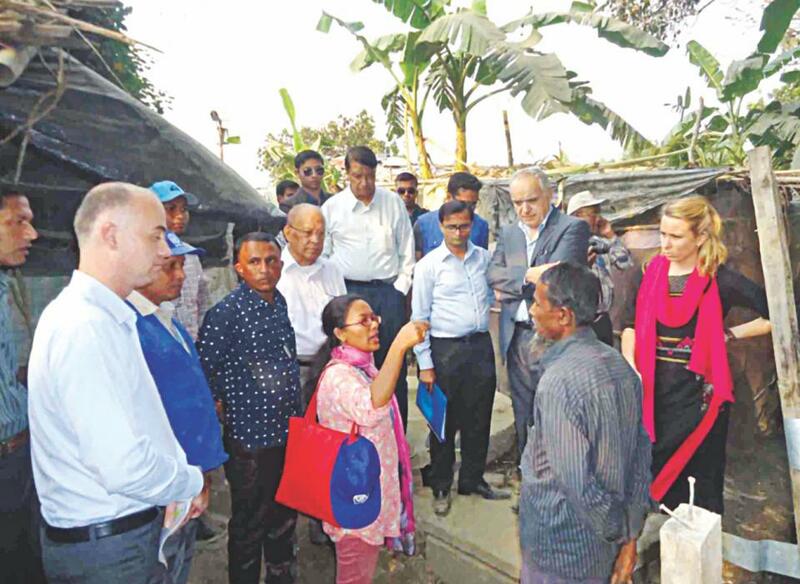 Cox's Bazar, Bangladesh -- Three-members of Myanmar's “Advisory Commission on Rakhine State” visited two unregistered Rohingya slums in Cox's Bazar's Ukhia and Teknaf yesterday. The delegation consists of Myanmar National Human Rights Commission Chairman U Win Mra, Core Member and Founder of Religions for Peace in Myanmar U Aye Lwin and former Lebanese minister of culture and UN Special Advisor to Secretary-General Ghassan Salame. They arrived in Cox's Bazar yesterday. Cox's Bazar Deputy Commissioner Md Ali Hossain said the delegation would meet him at his office today after visiting the Kutupalong Rohingya slum. 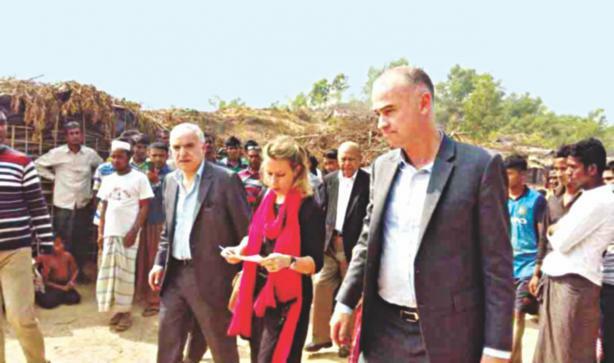 According to UN estimate, some 66,000 newly-arrived Rohingyas took shelter in Cox's Bazar. Besides, there are about 32,000 Rohingyas living in two refugee camps for over two decades.